Home » Schools » City schools » What’s been happening at New Albany Elementary School? 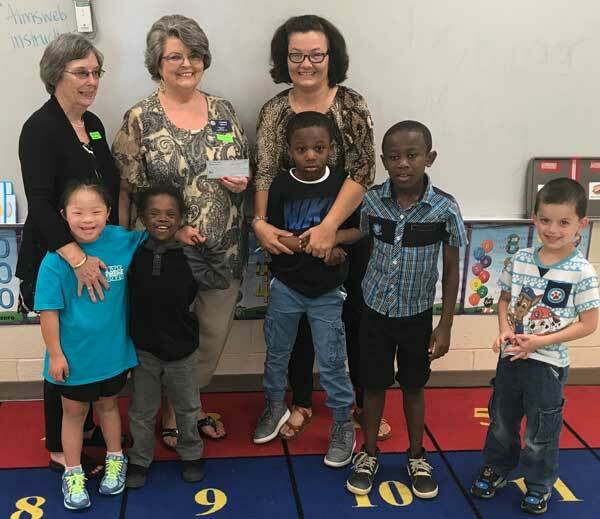 9-22 President Connie Kelly (pictured back row center) and Historian Becky Wack (pictured back row left) from the New Albany American Legion Auxillary Unit #72 presented a donation to Susan Kelly’s Special Needs classroom at New Albany Elementary School on Thursday, September 14. The donation will be used to purchase an iPad for classroom use. 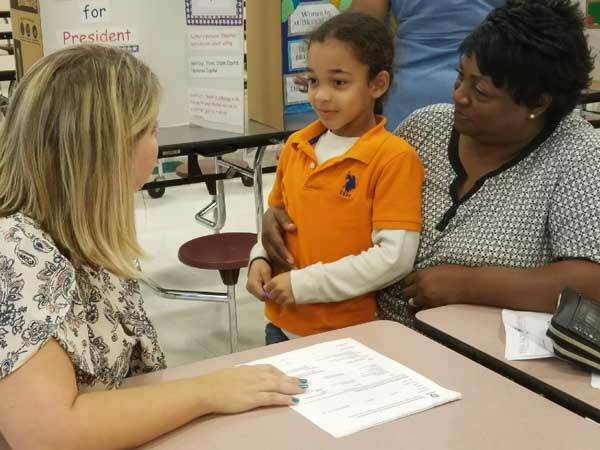 9-25 New Albany Elementary School hosted a Family Reading Fair Workshop on Tuesday, September 19. Students and their families received tips on how to create a reading fair board, looked at sample boards, and were given the opportunity to ask teachers questions about the Reading Fair judging process. Six families attended the event that was sponsored by the 21st Century Community Learning Centers Program. NAES teacher Angela Victory coordinated the event. 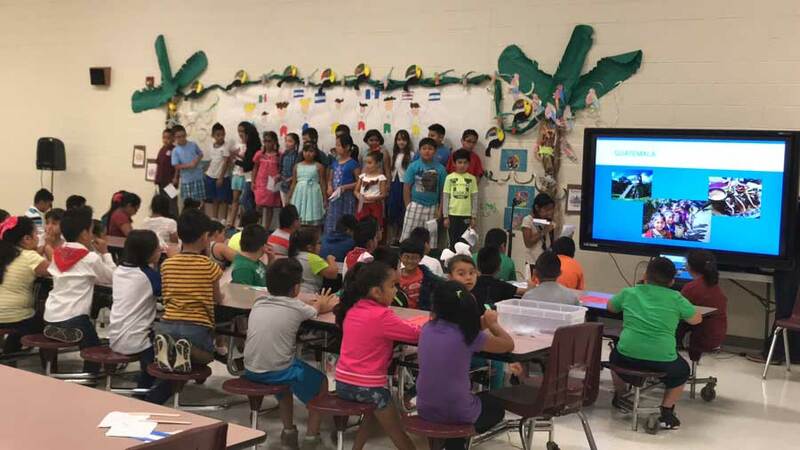 9-29 On Friday, September 29th, the New Albany Elementary EL Program hosted a celebration of Central American Independence Days! During the program students shared essays and poems about their native countries. The parents and students were encouraged to join together to sing the national anthems of their respective countries. 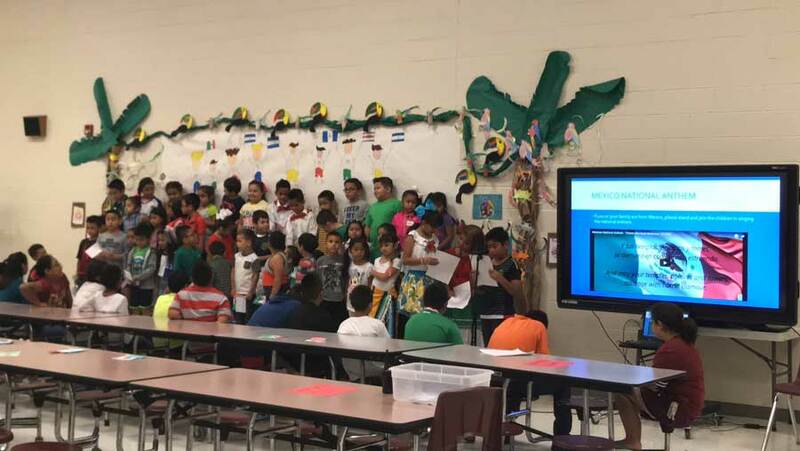 Leading up to the program the students learned about Mexico and the five countries that worked together to defeat a common enemy in 1821. (Honduras, Guatemala, Costa Rica, Nicaragua, and El Salvador).